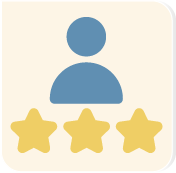 Visit the Testimonial Manager by selecting it in the app menu or by visiting the Dashboard and selecting it there. Edit or delete a testimonial with the icons (D) at the far right. 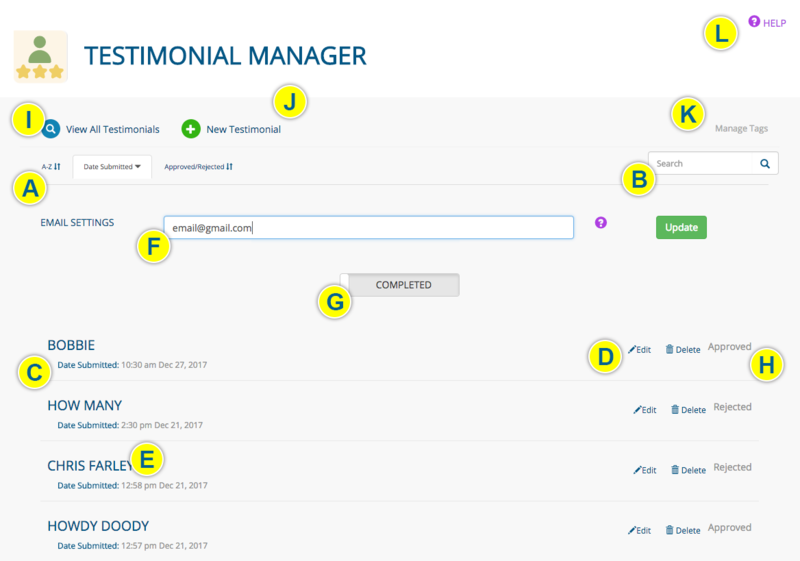 You also can edit a testimonial by clicking its title (E). Click the toggle (G) to switch between PENDING and COMPLETED testimonials. With the toggle in the completed position, view whether a testimonial has been APPROVED or REJECTED (H). During the Buildout stage of your website development, pages from which you would like to collect testimonials will include the appropriate form (or a link to one) to do so. A form easily can be added to an existing page as well; contact us to do so. You also have the ability to create and apply tags to a testimonial. Select a denied testimonial to edit, delete or approve it.